Please…. tell me, I’m NOT the only person who STRUGGLES with this??? Why is it that no matter how many times we hear the analogy “you can’t give water from an empty well” – WE keep trying – thinking (somehow) we’ll be the exception to the rule? When it comes to our health, finances or emotional well being – we think we can ignore the natural laws God has set in place and still thrive. I started this blog back in April – with the BEST of intentions – Determined to write a new post every week – It can’t be that hard — Can it??? Not only has it turned out to be HARD — it’s been virtually impossible — because my ‘day job’ gets “crazy busy” during the summer months – I KNOW this (having been in business 20+ years I’ve learned – people MOVE during the summer – and that’s when they need me most) yet, despite knowing this I still struggled with GUILT this past summer because I couldn’t ‘do it ALL! I feel confident – I’m not a loner here – If you’re not here already, there will come a time when you feel like you’ve given ALL you have to give and when that happens – what are you going to do to replenish and refuel? For example – I LOVE Pinterest – however, if I’m not careful, I’ll get caught up in the idea that EVERYBODY but Me lives a ‘Picture Perfect Life.’ And let’s face it – That IS the lie the devil wants us to believe! God made me a Giver and a Do’er – and I’m good with that but I have to really be careful that I don’t ‘give and do’ until I’m spent. I should have learned this lesson already because it wasn’t that long ago (2014 to be exact) that I made some unwise decisions and ended up – Burned Out – Depleted – and Sick! 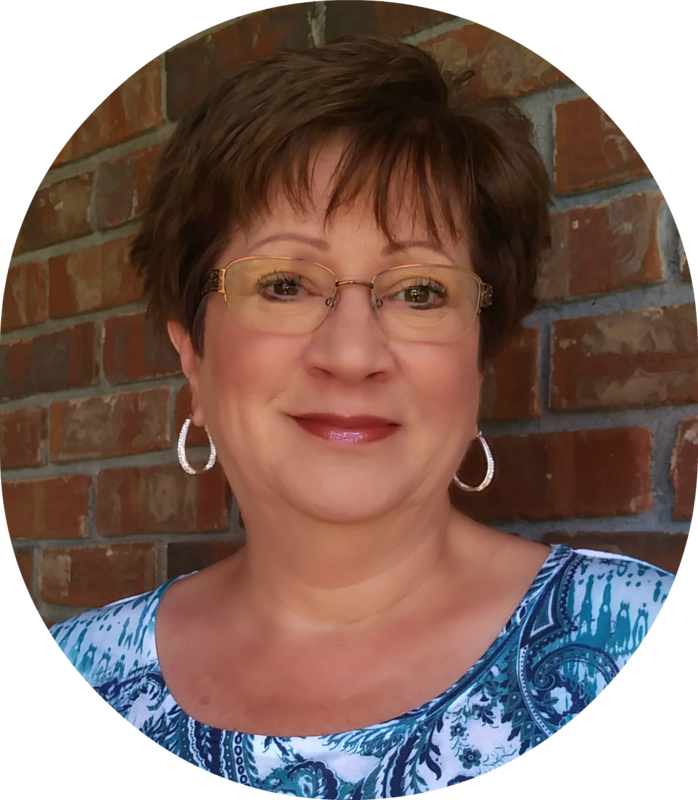 3- Serve on the Personal Committee at my church ….. ALL while trying to start a new business on Amazon!! I got caught up in trying to be everything to everybody and I ‘crashed and burned’ to point of making myself physically sick! It’s TIME for me to Re-fuel. Today I’d like to share with you a few of the ways I do this …. 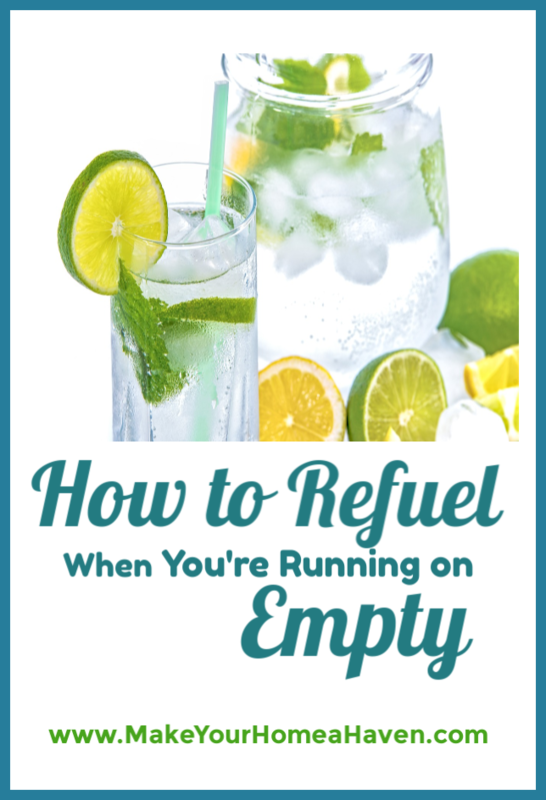 I’d LOVE it, if you would take a minute and SHARE below how you ReFuel when you find your own well getting empty. The FIRST STEP (for me at least) is to accept the fact that it’s OK to love on myself a little. It’s OK to give myself a little GRACE. Here are a few things I’ve recently started doing to refill my own well. You just have to ‘pinkie promise’ that you will SHARE those ideas in the comment section below…so we can all learn better ways to REFUEL together. When life gets busy I need this more than ever — yet I struggle with it — Why??? Nothing quiets my soul like spending time reading my Bible and praying…but when life gets busy…it often seems to be the first thing I stop doing. If you struggle here I suggest using a good devotional book of some kind to help keep you on track — especially if you don’t know where to get started. As some point during the day take 5 minutes (preferably 15, but we’ve got to start somewhere – right?) and simply – “Be Still” (this is different from Devotional time) During this 5 to 15 minutes you are going to just let your mind REST! Close your eyes and just rest! We’ve had a LOT of rain here in the south this summer so IF I do happen to be home and it starts raining…I STOP everything and spend a little time enjoying the rain from my ‘favorite’ room – the front porch. You are what you eat – In the past month I had this really hit home for me – I’ll have to share my experience with ‘meal replacement bars’ in another post because it would take up too much space here – but it was pretty scary. Don’t try to change everything at once — start with ONE MEAL and try to make it as healthy as you possibly can — then repeat the process over and over until it becomes a HABIT. 4- Find something you enjoy doing ALONE and do it! Bet you weren’t expecting that one were you? Look, I’m a Professional Organizer so you should have – Right? All kidding aside — there is just something about creating ORDER that nourishes your soul and makes you feel like you are ‘in control’ of your surroundings. It doesn’t have to be something BIG like a kitchen or a closet — Just Organize ONE drawer or ONE shelf. Try it — You will be AMAZED at how empowering this one is! Together we CAN DO THIS. We are worth it – Our families are worth it. In a world that often feels like it’s spinning out of control — Let’s do our part to REFUEL so we have something to GIVE to those who haven’t figured this out yet. If so share this with ONE person who needs it. Thanks and Blessing to you all!